OIST will handle the logistics of accommodation, travel, and meals for all workshop participants. OIST will also help with arranging visas when necessary. Until recently, much of what is known about human history has come from the study of archeological sites, piecing together patterns of human migration and genetic admixture from pottery, weapons, and inferred customs. Although undeniably powerful, these approaches often produce mysteries, that cannot be resolved without additional data. For instance, there has long been debate about whether the distinctive Clovis technologies, associated with some Late Pleistocene remains in North America, were developed there, or represented a separate migration from Eurasia. This debate was finally settled using, molecular techniques, which conclusively showed via genome sequencing that the Clovis people were ancestors of contemporary Native Americans, and not the product of an additional migration (Rasmussen, 2014). In this way, genomic techniques are re-shaping our fundamental understanding of human history and origins. 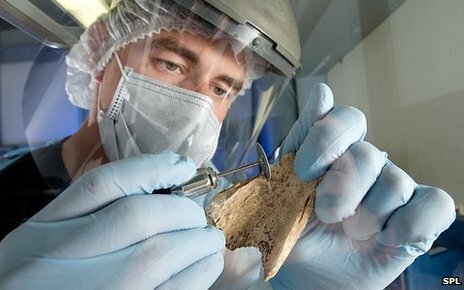 Much of the genomic investigation thus far has focused on deep time, such as the sequencing of Neanderthal genomes, going back tens of thousands of years, or of Late Pleistocene remains. These projects provide a glimpse into the relatively distant past, and have focused on the study of a few unique specimens, those that were preserved by chance. However, from Classical Antiquity to the Middle Ages and onward, the amount of specimens available generally increases, and it becomes possible to study not just individual genomes, but populations of ancient humans. Genotyping ancient humans, will reveal patterns of migration, the family structure of societies, as well as provide insight into externally visible characteristics. In addition to characterizing the history of our species, it should be possible to track the origin and spread of disease-carrying alleles, to potentially better model their prevalence in modern-day populations. Genotyping ancient human remains will also produce genomes of pathogens, which will allow us to study their spread and coevolution. The realm of the possible is rapidly changing, as a consequence of our deeper understanding of the chemistry of ancient DNA, the development of bioinformatic techniques, and because of continual change in next-generation sequencing technology. The workshop will explore the possibility of routinely genotyping ancient DNA at the population level, and its methodological implications. This workshop aims to bring together leaders in population genetics and the study of ancient DNA for several days of talks, and free-form discussion aimed at fostering collaborations. OIST is an appropriate venue for this event, because of our ongoing investment into DNA sequencing and other genotyping applications, as well as development of methods for rapid genotyping of degraded DNA by the Ecology and Evolution Unit (e.g., Tin et al, 2014). This workshop will accomplish the following aims: (a) establish and further collaborations between OIST researchers and counterparts working at top foreign universities, (b) initiate discussion on the challenges and promise of applying population genetic tools to ancient DNA, and (c) discuss methodological developments and protocols for the study of ancient DNA. These goals will be accomplished through several days of talks, as well through informal discussion.